By turning off mood lowering, energy zapping, and mind draining irritations and tuning in to the things you are passionate about, you can improve your life tremendously! This may seem obvious to you. But the irritations I am talking about and their impact may not. What I am calling irritations are the news programs, advertisements, and “violent” television shows, movies, and sports that we can find ourselves spending a large portion of our lives watching. None of these things serve us in any positive way. They only serve the individuals and companies who produce them in the form of huge sums of money. How do you feel after watching the news, dozens of commercials, or violent television shows, movies, or sporting events (e.g. cage fighting)? Do you feel angry, anxious, fearful, deprived, sad, depressed, frustrated, overwhelmed, or disgusted? Do you ever feel elated, enriched, or inspired after watching any of this stuff? If so, it is probably very rare. The same goes for a lot of material on the internet. The in-your-face advertising practices are particularly annoying. Moreover, the “anonymous commenting” that the internet has enabled often bring out the worst in people. Especially from ignorant individuals filled with hate. It’s a waste. After you have taken a break from the news, commercials, violent programs, and negative internet material for a while, you’ll see how utterly absurd they are. You’ll also see how harmful and timewasting they are. 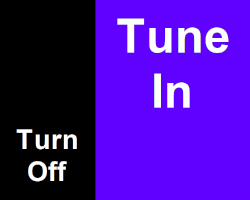 My prescription for keeping your mood, energy, and intellect high is to turn off the crap and tune in to your passions. Restrict your viewing, listening, and reading to uplifting material that aligns with your interests, goals, and values.